Welcome to our new series of blog posts called Live Green, Vive Verde. Here at the Alvarado Real Estate Group, Live Green, Vive Verde, is an important part of our business! We want to show you how you can incorporate eco-friendly products, services, and actions into your life and home, to not only enrich your health and well-being, but to also preserve the environment and reduce the carbon footprint on our beautiful communities across the greater Madison area (and beyond). 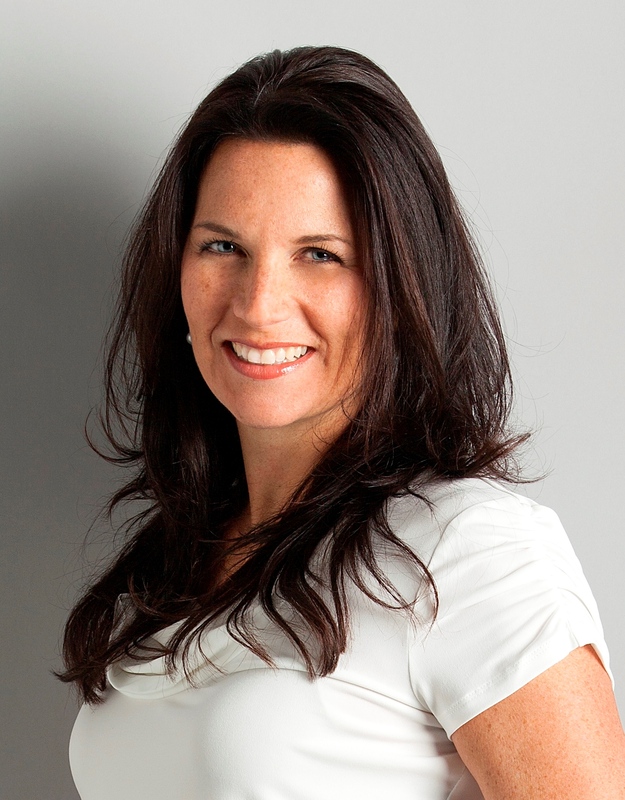 Our first post comes from our friend and natural/healthy living consultant, Anke Johnson! We hope you enjoy this new series and we look forward to bringing you more Live Green, Vive Verde posts moving forward! Loving the green in a bottle of Basic H2! Basic H2 is a bit of a miracle in a bottle! 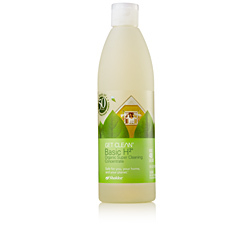 From earth and people friendly to really economical, it's a product that you can feel really good about using! If you're smart enough to have bought a home from Alvarado Real Estate Group, then you got one of these gems in your welcome bag because they think being green is pretty important too! Dr Forrest C. Shaklee introduced Basic H in 1960 (Basic H2 came in 2006 to make it even MORE green! ), which was a product way before it's time. At the time when many non-earth friendly products were being introduced because they "worked better", Dr. Shaklee created a product that not only worked as well or better than these products, but was also gentle to the earth as well as to the people exposed to it. Basic H2 is also so versatile, that it can be used in all areas of your house. It is typically diluted into 3 strengths; windows/mirrors, general cleaning, and de-greasing for those harder jobs. Because Basic H2 is so concentrated, your small 16oz bottle will make 5,824 bottles of Windex! Imagine how many plastic bottles and sprays are saved from recycling and landfill, and how much money you can save, literally thousands!! And because Basic H2 is safe for your family and pets, you can be rest assured that everyone's health is better for it. If anyone in your family has health issues such as allergies or asthma, Basic H2 is a great choice to help decrease any envir onmental impact that may be adding to the illness. If you have any questions about Basic H2, or if you'd like to know more about some of Shaklee's other fantastically green and effective cleaners for dishwashing, laundry, and more, please contact Anke Johnson at 608-467-0008 or email coachanke@gmail.com. 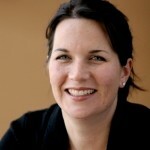 Anke is passionate about helping to keep things green, one bottle at a time! How to get involved with Green Madison? All Madison residents are invited to take part in Cool Choices, a city-wide online sustainability game. Do you turn the lights off when leaving a room? Bike or walk instead of driving? Recycle on a regular basis? You're invited to share the sustainable choices you're making with fellow Madisonians in Cool Choices! Register, create a team, and play to save money, reduce energy use, and win prizes from Food Fight Restaurants, Colectivo Coffee, or even a 2016 CSA share! Madison homeowners, did you know that energy efficiency improvements can cut utility bills by an average of $400 per year? During this competition you can host a house party to receive a free energy assessment, recommendations for practical improvements, and follow-up assistance applying for rebates on any energy efficiency improvements you'd like to make. Madison landlords and tenants, Green Madison has a team of experts to highlight existing energy efficiency resources available for multifamily buildings! In partnership with Project Home and Focus on Energy, we are serving as a streamlined point-of-contact to help multifamily building owners with rebate programs, free energy assessments, contractor selection, and quality assurance. Project Home is a local nonprofit that provides energy-saving and health-and-safety improvements to make a long-term impact for residents, neighborhoods, and communities. Focus on Energy is Wisconsin utilities' statewide energy efficiency and renewable resource program. Together, the Green Madison team can help reduce energy consumption in the City's multifamily housing stock for years to come. 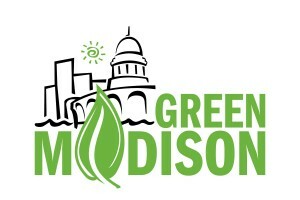 Visit http://greenmadison.org/get-involved/ to get involved with Green Madison today! For Alders/city leaders: Green Madison is an effort to reduce energy consumption in the City of Madison and help our City become more sustainable so that future Madisonians can enjoy the same beautiful community that we do. What's more, the City stands to win a whopping $5 million to put towards future sustainability efforts! As part of the Georgetown University Energy Prize, Madison is competing against communities around the nation to see who can reduce energy consumption the most through the end of 2016. As a leader in our community, we hope you will take this opportunity to help us spread the word about this exciting opportunity for our city. Please encourage your constituents, friends, and neighbors to take some of the following actions, and don't forget to lead by example! You too can play Cool Choices and host an energy house party! Alvarado Real Estate Group invites you to listen to the experts, ask questions and learn more about making your home healthy and energy efficient. We hope you can join us! 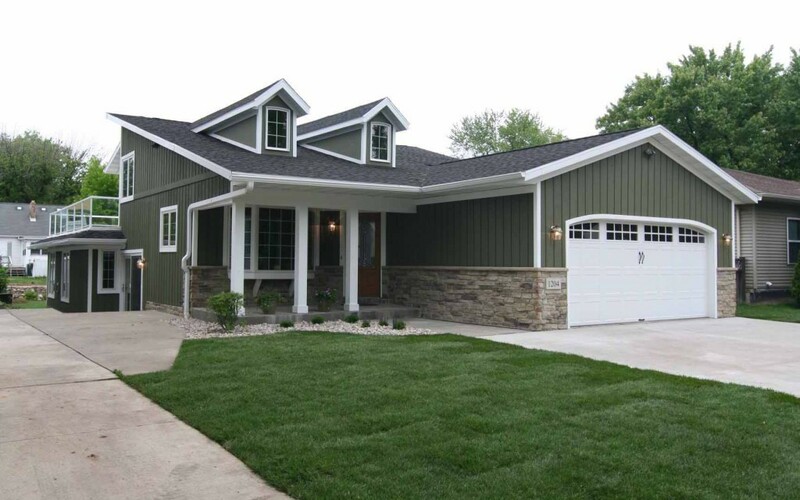 Green Madison helps City of Madison homeowners and businesses achieve significant energy savings, while increasing the comfort and durability of your home and business. Personal assistance, generous cash incentives, and hassle-free financing makes Green Madison the go-to energy-efficiency resource for Madison homeowners and businesses. Steve helps design and manage site planning, stormwater management related, and LEED/sustainable design projects. Steve enjoys working as a civil engineer with the landscape architecture firm Ken Saiki Design, using an integrative, collaborative and creative approach to excellence in site planning and design. Ken Saiki Design has astrong reputation for: quality landscape architecture & site design, and are good people to work with. Lincoln has worked for Full Spectrum Solar for more than three years, beginning his career in renewable energy after graduating from the UW with a Biology major in 2008. He has installed over a hundred Solar Electric (photovoltaic a.k.a. PV) systems, as well as many Solar Water Heating systems, and learned a lot about what makes for a good solar site. Lincoln's specialty is designing the array for optimal energy production, long-term durability and strength, and an aesthetically beautiful solar installation that is economical. 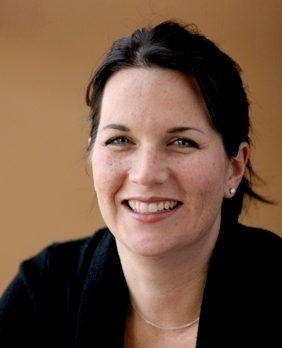 She is an infield verifier for numerous green building programs both local and national - helping homeowners and builders achieve green and energy efficient building certifications. Steve Pipson knows homes from the inside out. Having worked as a journeyman carpenter, project manager, architectural technician and college instructor, he brings over 25 years of experience in the trade to his energy evaluation work. Friendly, knowledgeable and a bit of a "house detective," Steve is passionate about conserving resources and helping clients make improvements to their homes that ultimately improves their bottom line and lessens their impact on the environment. Please R.S.V.P.. for this event so we know how much pizza we need! We hope you can come. 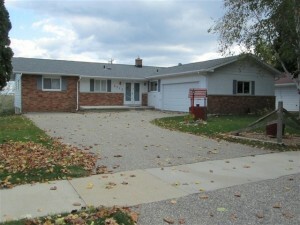 Spacious 1,739 sq ft hilltop 4 bedroom ranch! 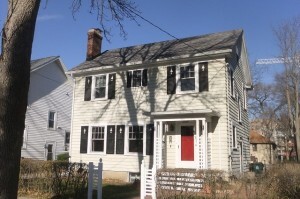 Gorgeous updated kitchen with hickory cabinets, new appliances, breakfast bar and large pantry. New roof '08. New furnace and central air '07. New water heater '11. Main floor laundry. 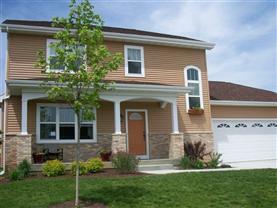 Large master with private bathroom. Oak floors in bedrooms have been refinished. Spacious closets. Plenty of space to expand or for storage in the 1,739 sq ft unfinished basement. This classic American Bungalow is exactly what home should feel like. Enjoy spacious open rooms with plenty of warmth & charm. From the LL theater room & main floor living room wired for surround sound to the prewired in home audio this home has the bells and whistles you\'ve been looking for. The cozy hearth room off the kitchen is a perfect place to relax with a good book and enjoy the warmth of your fireplace. Quiet country living on a 1/2 acre lot only minutes to Madison w/ low Burke taxes & Deforest schools! 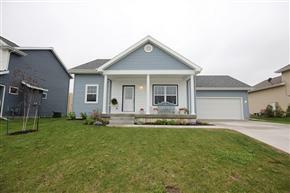 Quality built & meticulously maintained home. Gorgeous hickory floors. Living room has a brick hearth fireplace. Sunny & bright kitchen w/ breakfast bar & dinette. Family room in lower level has a built-in bar. Master bedroom w 5\'x11\' walk-in closet. Large deck & patio that is great for entertaining. Less than a year old with a wonderful floorplan. The kitchen with its solid surface countertops and cherry cabinets will be a delight to prepare large and small meals. Plenty of backyard space for the kids to run, all located in a subdivision with bike paths and surrounded on two sides by conservancy. The upstairs laundry will make for efficiency on laundry day. The oversized garage will have plenty of room for toys and bikes. Energy Star Certified so you can be assured you will have low energy bills. This nearly new home has all the features today's buyers are looking for. Amish made maple cabinets, hardwood floors. 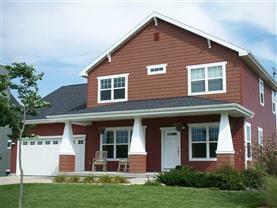 Plenty of room for a family in this 4 bedroom home. 1st floor bedroom and bath offer easy accessibility for visiting guests. Built by Home Comfort Co. with attention to every detail. Swan Creek offers walking paths, parks and is bordered on two sides by conservancy. 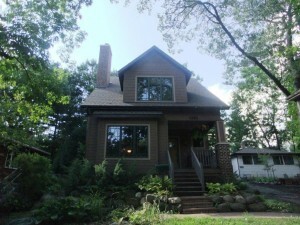 Spacious, charming, energy-efficient AND affordable house on the near east side?? Yes!! And it features a 2 car garage, huge 3rd flr vaulted master bedroom, original woodwork and wood floors! Fenced yard with perennials. Newer roof, deck, furnace, refrigerator and washer. Water heater and softener 2 years old and exterior painted in 2010. Average utility bill is $121/mo. Great southern exposure for winter sunlight. 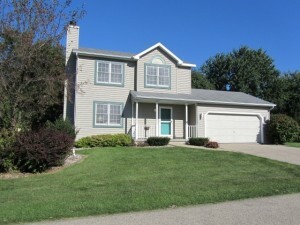 A hop over to Atwood and walking distance to schools and Willy St Neighborhood hot spots. 3 bdrms + office+ sunroom, 1 bath, 1766 sq ft.
Super efficient spray foam insulation under roof resulting in an average gas and electric bill of $121/mos.! This property is marketed and presented by Darcy Haber, EcoBroker. Please contact Darcy at 608.358.6180 or Darcy@TheAlvaradoGroup.com for a showing or if you have more questions! Open, bright, beautifully designed condo in the heart of the Willy Street neighborhood. Enjoy the double sided fireplace (living room to master) with custom natural slate tile surround and a walkthrough bathroom, bamboo floors, huge windows that bring in lots of light, custom wood shades, a private patio and lots of storage! Unlike many condos in the area this unit has 2 underground parking spaces in the heated garage. Stainless steel appliances, ceiling fans, pets allowed...there is so much to love! For the current price and more photos visit the Alvarado Group MLS data page. The Williamson Street -Marquette area ("Willy Street" as residents call it) is perhaps Madison's most thoroughly walkable and funky neighborhood. Less than a mile from downtown, Willy Street blends an eclectic mix of historic homes, unique stores and wonderful restaurants and bars, all within walking distance of Lake Monona, the Yahara River and its anchor, the Willy St. Grocery Cooperative. But beyond the lively businesses, natural features, and stately architecture, is a diverse group of residents drawn together by their desire to live in a neighborhood that values community. The Alvarado Group will be at Isthmus Green Day - April 16th, 2011! This is one of our favorite expo's. It is the earth friendly expo and Madison's finest! April 16th, 2011 from 9am - 5pm come down to the Monona Terrace and visit local businesses, organizations and learn from the informational presentations. Informational & entertaining presentations: * An amazing line-up of speakers talk about shortening the distance from farm to table. * The Fabulous Beekman Boys from Discovery's Planet Green reality show share adventures from their urban-to-rural life with goats, chickens, pigs, and one diva of a llama. * A townhall discussion on healthy food in schools features farmers, students, parents and school representatives. Fun for little ones too! Isthmus Green Day's Family Play Zone has hands-on activities, arts and crafts, sponsored by Aldo Leopold Nature Center, MSCR, and Friends of the Henry Vilas Zoo. Tickets are $5 at the door or in advance at the Isthmus office, 101 King Street in Madison. Free admission for children under 12, and if you walk, take the bus or ride your bike. Bring donations for Goodwill and get in free, too! We want a yard. A place to let the dogs play. A place to garden. A place to grow food, plant flowers. A place to compost or build a chicken coop. So we help them buy their first home. They get their yard. And then what? MY IDEAL BACKYARD: Turn your yard into a sustainable oasis. Part book club, part get-your-hands-dirty workshop, these series of interactive classes teach how to put together a sustainable backyard. Learn the building and gardening skills necessary to install a raised bed, to put in a water catchment system, and to build a chicken coop--and then make them happen! Throughout the program, participants meet with experts and practitioners to learn the reasons for backyard gardening--and then will take those skills to their own homes. Each week, participants meet at one person's backyard and install that week's lesson. Limited availability so sign up today! I recently spent the month in Mexico, in a 900 sq. ft. apartment with my husband and two young boys. 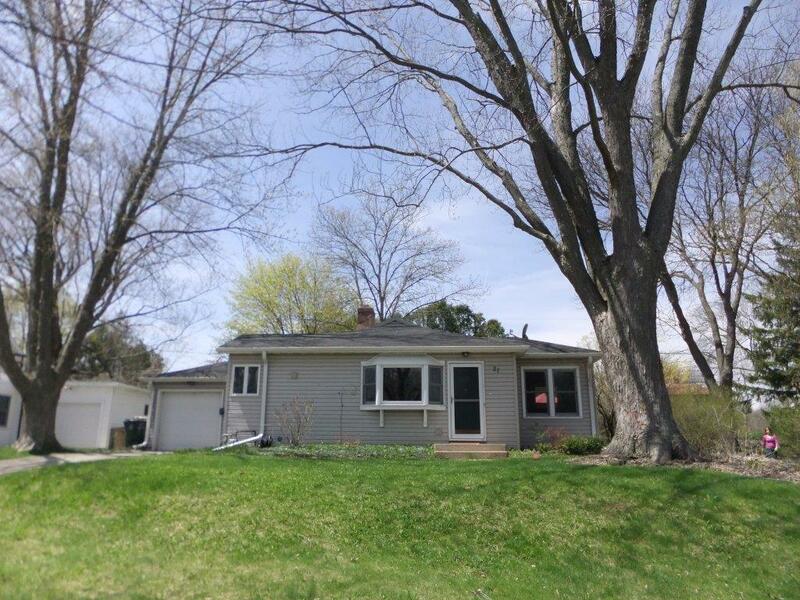 Our house in Madison is around 1700 sq. ft. with extra space in the basement and the 2 car garage for storage. Surprisingly enough, it is wonderful living in a smaller space. I was a bit worried at first yet right away I started discovering more and more reasons to embrace and love it. A couple of months ago I was talking to my dear friend Sonya Newenhouse who is in the midst of building a modular home in Viroqua WI and I told her my biggest concern in moving to smaller space with two growing boys is winter time. Here in Mexico we spend many hours outside and that is probably part of the reason I don't notice the claustrophobic feeling that we get in the middle of winter when the kids have a lot of energy and are bouncing off the walls wishing they could go out and play. Here are some great tips for ways to embrace and create large living in small spaces. Although a high ceiling, larger mirror, and natural light make a modest bathroom feel larger, actually cutting square feet from a home is more difficult than it sounds. Here are a few "small ideas" to make a small green home more functional and attractive. Add Inches to Height: Instead of eight foot ceilings, have nine foot ceilings. This keeps small rooms from seeming cramped. Eliminate Attics: The usable space under the attic can be used for visual appeal, conditioned storage, and loft space. Eliminate Halls: Halls take up space that can be used for storage or larger rooms. Traffic patterns can cross rooms. Separate Space: Rather than building walls, separate spaces with changes in materials or ceiling height., Furniture, such as a bookcase perpendicular to a wall, also separates space without a wall. Eliminate Formals: Do you use a parlor or a formal dining room more than a few times a year? Plan a larger kitchen or use two separate sitting areas within one living area. A living-dining area with a small, windowed breakfast nook in (or off) the kitchen adds visual space and usability to both rooms. When not eating, use the breakfast nook for homework or use the dining table for games and extra seating for guests. Use Space Under Roof Peak: Look for a small second story under the peak of the roof. It costs less than first-story space because it uses far fewer resources to build. I hope these are useful tips as we all learn to challenge how we live and be aware of our habits. I encourage you all to follow Sonya's videos and track the progress of her home. There is so much to learn. We also have many more tips on our website and encourage you to send us your tips, thoughts or ideas for sustainable living in your home and community.